An in-form Clare team travelled to the Sunny South East to take on Wexford on Sunday. Clare, who entered the game with an unbeaten record in this year’s Allianz National Leauge campaign, could not match the Model County. We don’t know the answers to any of these questions, however, momentum is a great thing. 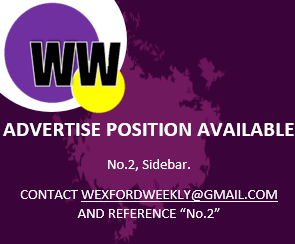 It instils a swagger, a confidence, and nobody wants to come up against an in-form team – and especially a team like Wexford thirsting for success. As Davy says – “one match at a time…” and without doubt, we are enjoying these victories in the top division against top opposition. Long may it continue. Heavily tipped as one-to-watch after some mesmerising displays in the Wexford Senior hurling championship last year, O’Connor is certainly making a name for himself. Coming on for Lee Chin at half-time, the St Martins prodigy scored 0-04 from play and was involved in many other scores when Wexford needed to place some points on the scoreboard. O’Connor, who is only recently back from a knee injury, will be a key asset to the Yellowbellies’ armour as the year continues. Worryingly for Wexford though, is the fact that Faythe Harriers’ Lee Chin went off at half-time. Despite O’Connor filling the boots exceptionally well as a replacement, it has been confirmed that Chin’s quad injury is likely to keep him out of the upcoming clash with Kilkenny. Chin has been a model of consistency so far, and Wexford will need him back as soon as possible if they are to continue their resurgence. Wexford will play Kilkenny in the next round of the Allianz League. The game which was tipped as a potential showdown at the start of the year no longer bears as much relevance. With Wexford already guaranteed a place in the League quarter-finals due to their previous victories and a crucial Leinster championship match down the line, it’ll be interesting to see what sort of team Fitzgerald lines out with versus Kilkenny. After overcoming Kilkenny on the past three occasions, Brian Cody will do his utmost to ensure his Cats emerge victorious this time around.